Hey Lovelies! What would you do if you only have $500 and the tiniest room ever and you had to throw a party ASAP? Freakout?! Don’t! 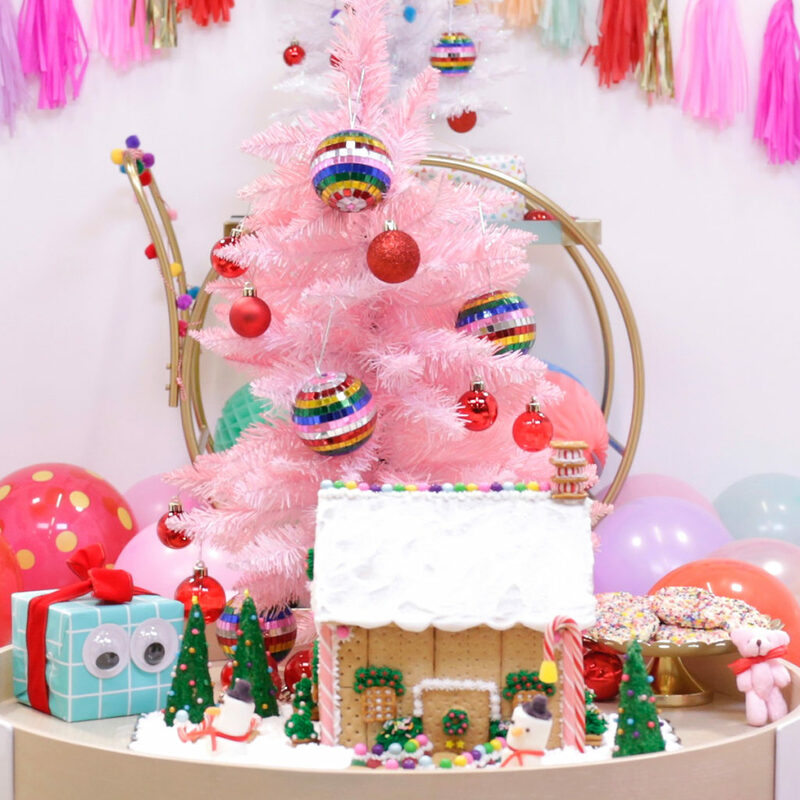 Get inspired by these two seriously lovely parties from 2 seriously lovely bloggers! 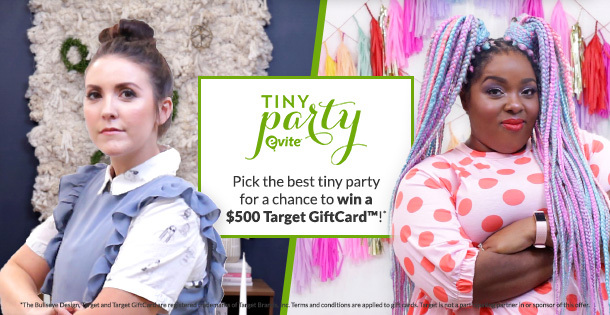 Brittni Mehlhoff (“Paper & Stitch”) and Amina Mucciolo (“Tassel Fairy”) go head-to-head to create a winter holiday party with a tiny budget (a $500 Target GiftCard™) and even tinier space. Who threw it best? You get to decide! So excited to be partnering with Evite to see who can create the best #EviteTinyParty! So what are you waiting for, Go Vote! There is even a cute video you can watch of them putting it together! Bring The Photo Booth To Your iPad With Evite! Day 4- Holiday Favorites-Bird’s Party Holiday Magazine Avery Wedding Sweepstakes! 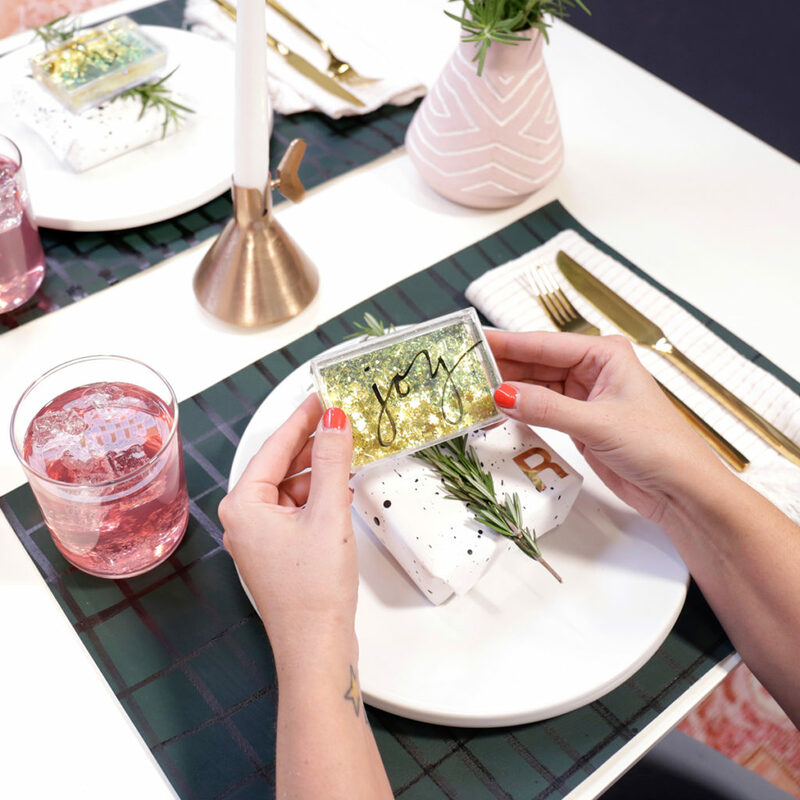 Holiday Party- On The Fly, On The Cheap And Oh So Lovely!